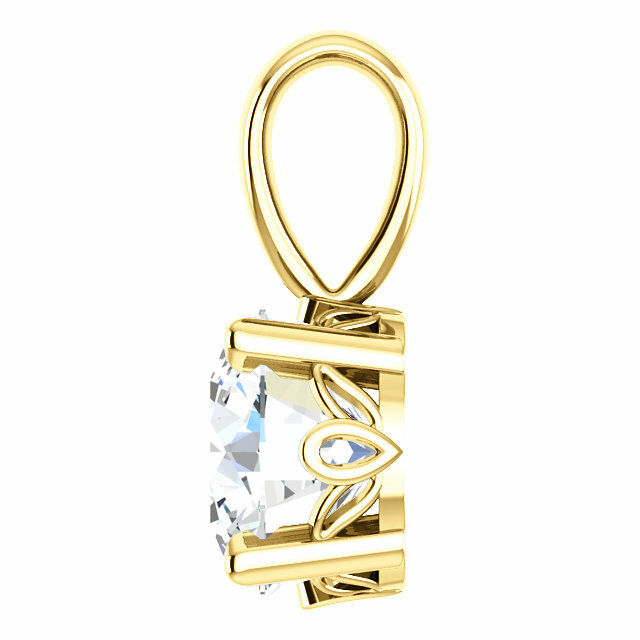 Add a little bit of sparkle to your day with this glittering white topaz solitaire pendant in solid 14K yellow gold from Apples of Gold Jewelry. The genuine white topaz gemstone, which has a high quality AA rated, measures 6mm in size, and is quite dazzling. The pendant measures 11.4 x 6mm, including the hoop and bale of the pendant, and creates a combination that you can be assured will sparkle all day long. The beautiful white topaz gemstone is an interesting stone that is flashy and fun! 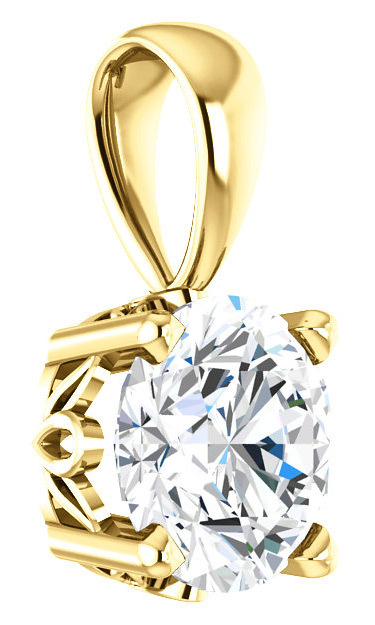 We guarantee our White Topaz Solitaire Pendant in Solid 14K Gold to be high quality, authentic jewelry, as described above.